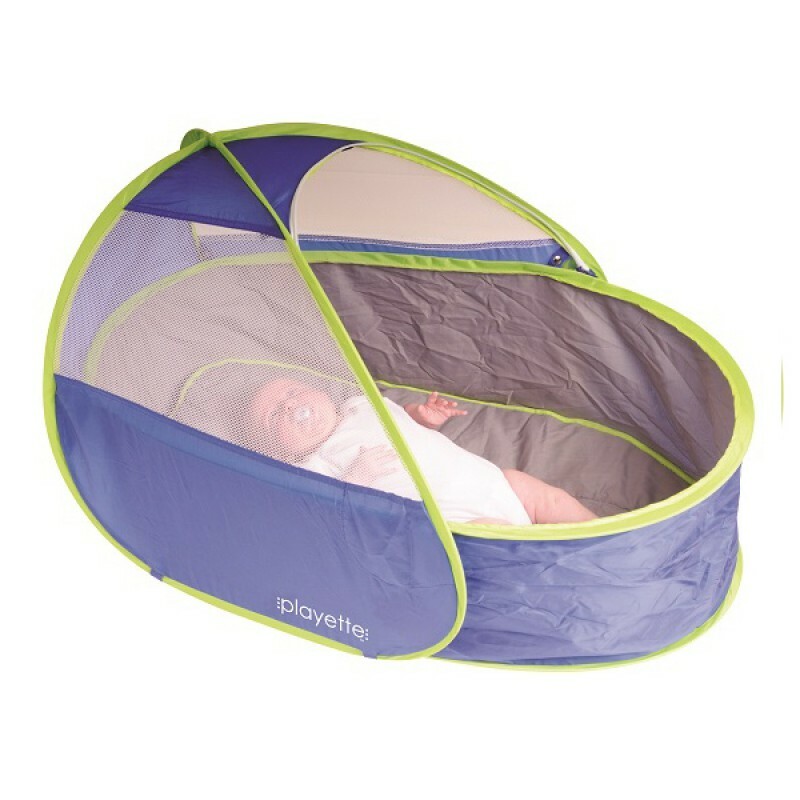 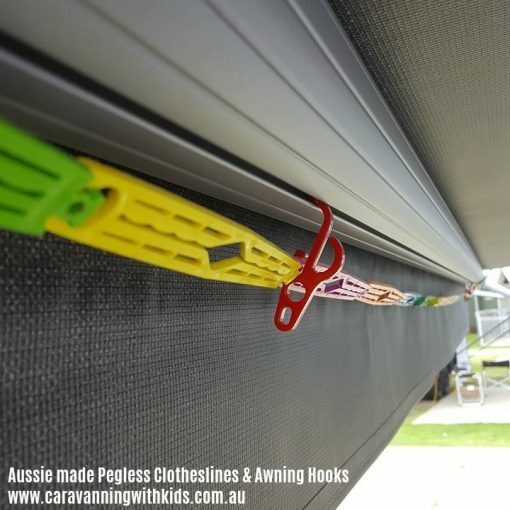 We love this little invention for a couple of reasons. 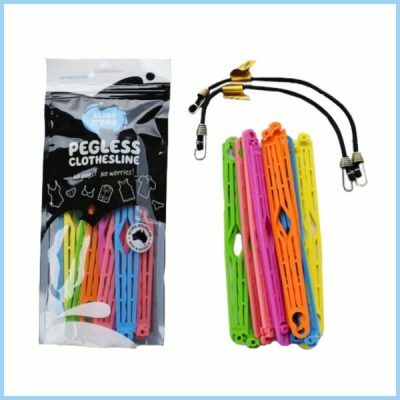 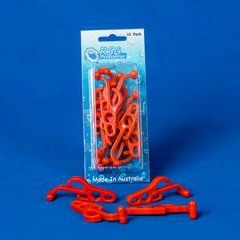 These Awning Hooks are Australian made and super handy and useful! 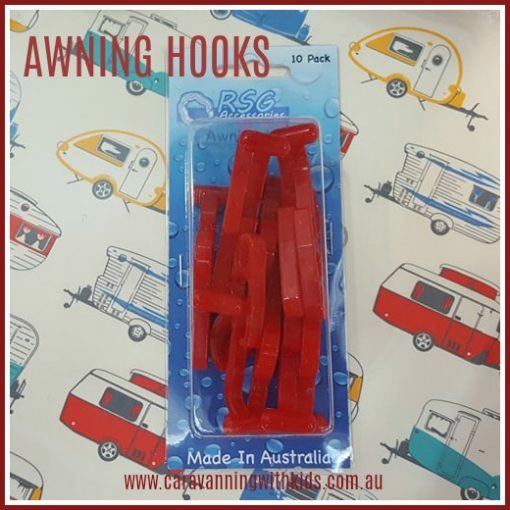 Made by RSG Accessories in Brissy, these Awning Hooks provide extra hanging space under your awning. The hooks slide easily into the sail track groove of most caravan/RV awnings.